Click the button below to add the Millennials Rising to your wish list. A decade ago, in Generations, Strauss and Howe predicted many of the youth trends America is beginning to see today. Now, in Millennials Rising, the authors show how today’s teens are recasting the image of youth from downbeat and alienated to upbeat and engaged. 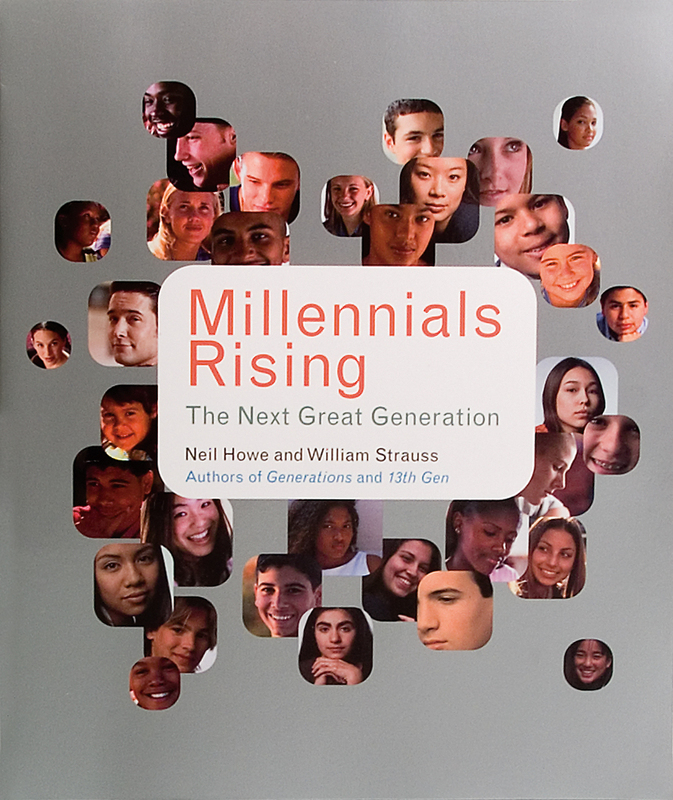 The authors also show…how Millennials are held to higher standards than adults apply to themselves how they’re a lot less violent, vulgar, and sexually charged than the teen culture older people are producing for them how, over the next decade, they’ll entirely recast what it means to be young and how, in time, they could emerge as the next great generation.